No longer content to paint miniature wizards in obscurity, geek culture has become a driving pop cultural force. No one knows this better than actress/nerd entrepreneur Felicia Day, who has built a career—and now a successful multimedia company—around totally getting obscure video game references. One of the more popular web series on Day’s Geek & Sundry YouTube channel is Tabletop, hosted by actor/Star Trek: The Next Generation punching bag Wil Wheaton. 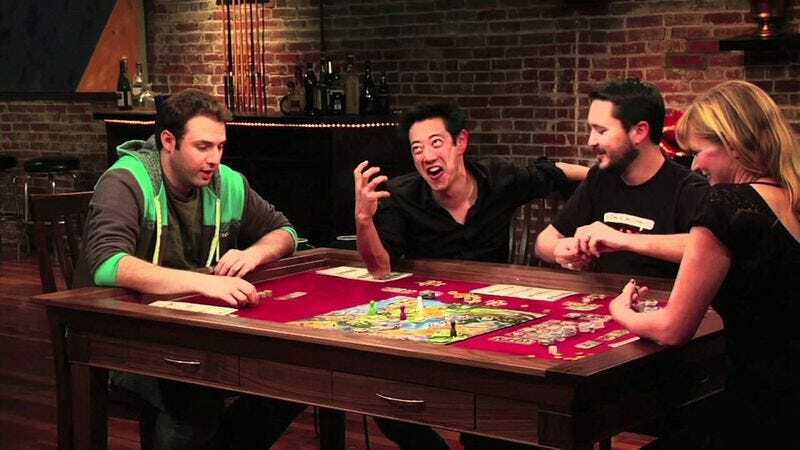 On each episode, Wheaton and celebrity guests play a tabletop board game with reality show-style interviews spliced in. Watching actors and vloggers play board games—no matter how attractive they are—might seem insufferably boring to some. But some need to keep it to themselves, because last week Wheaton announced that Tabletop’s Season Three Indiegogo campaign had exceeded its $500,000 goal by $914,094—raising a total of $1,414,094, and setting a new record for a crowdfunded web series. Wheaton says the money will be used to produce 20 new episodes of Tabletop, as well as a new RPG spinoff, where viewers can track the progress of a more involved role-playing campaign over multiple episodes. In a video message released last Thursday, Wheaton said he was “so overwhelmed and so grateful” for the campaign’s success, becoming visibly emotional while sharing a letter from a young fan. “Of all the things that make me a geek—and there are a lot of them—nothing brings me more joy, or is more important to me, than gaming,” Wheaton tells The Wrap.